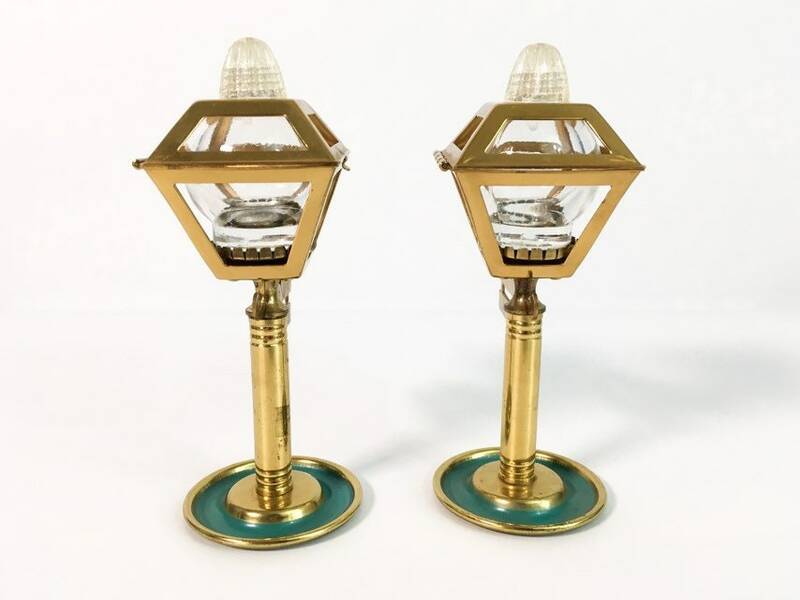 This is a lovely pair of vintage brass colored metal and glass salt and pepper shakers in the shape of street lamps. They have all of their original parts and appear to never have been used. 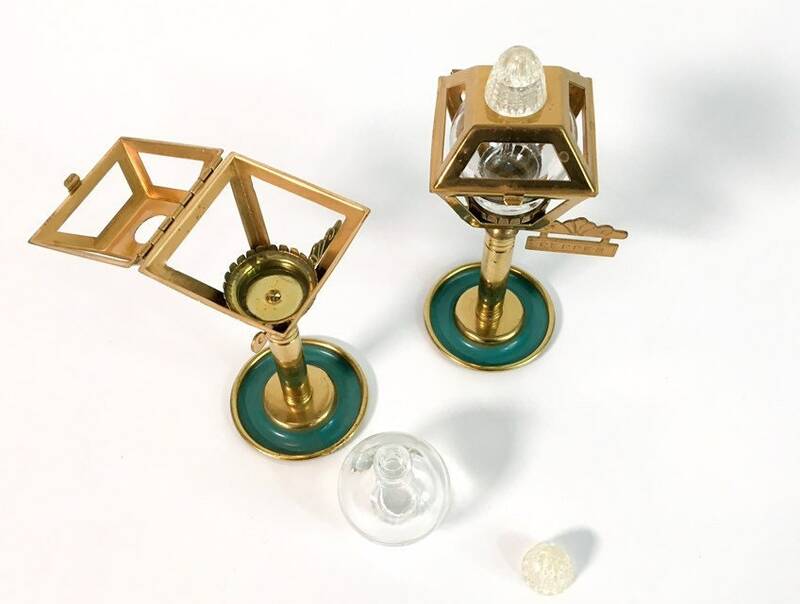 They are marked IRICE on the underside of the round glass salt and pepper holders. 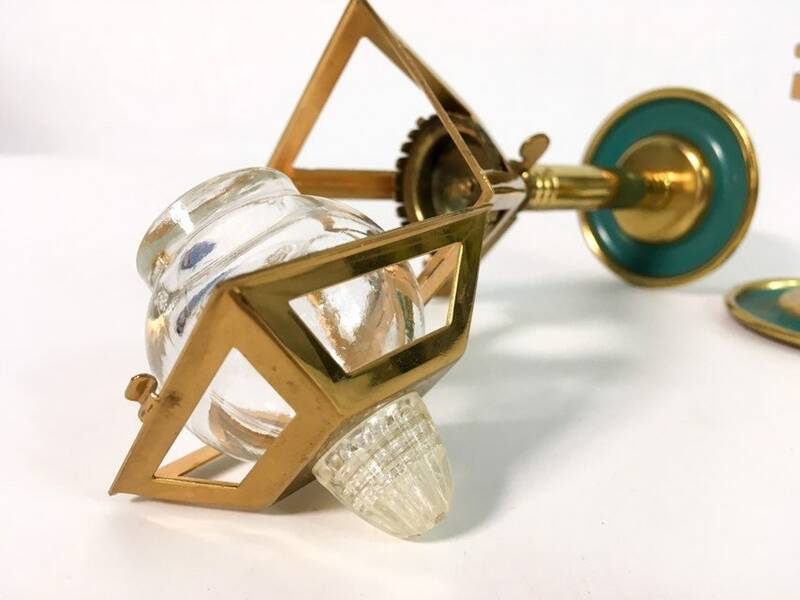 Wonderful kitsch design for these mid century salt and pepper shakers. The clear plastic tops screw on. 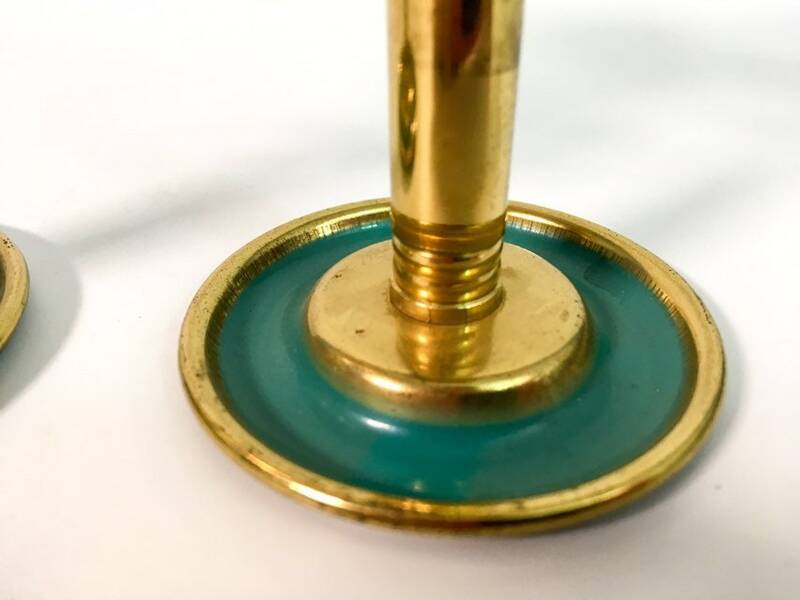 Both of the shakers have a round base that has a teal green enamel ring in the center. 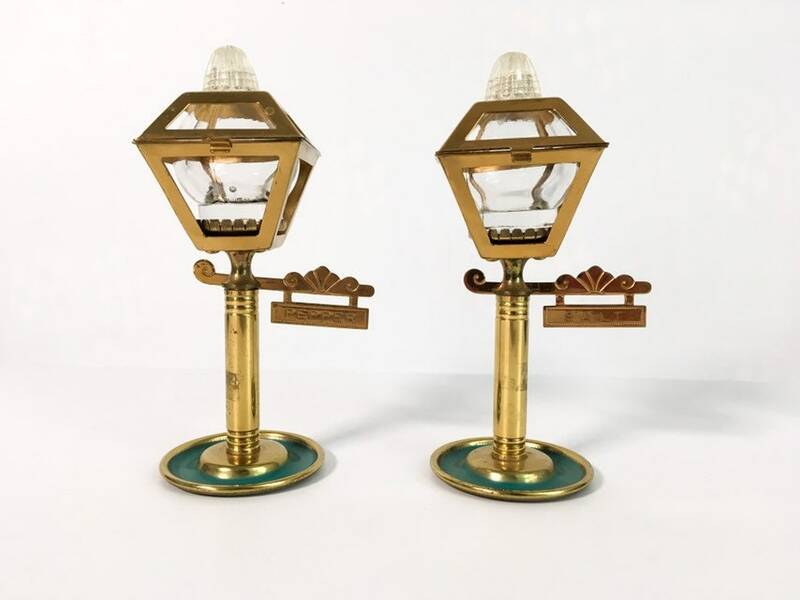 The street signs that hang from the arm of the lamp post design say "SALT" and "PEPPER". 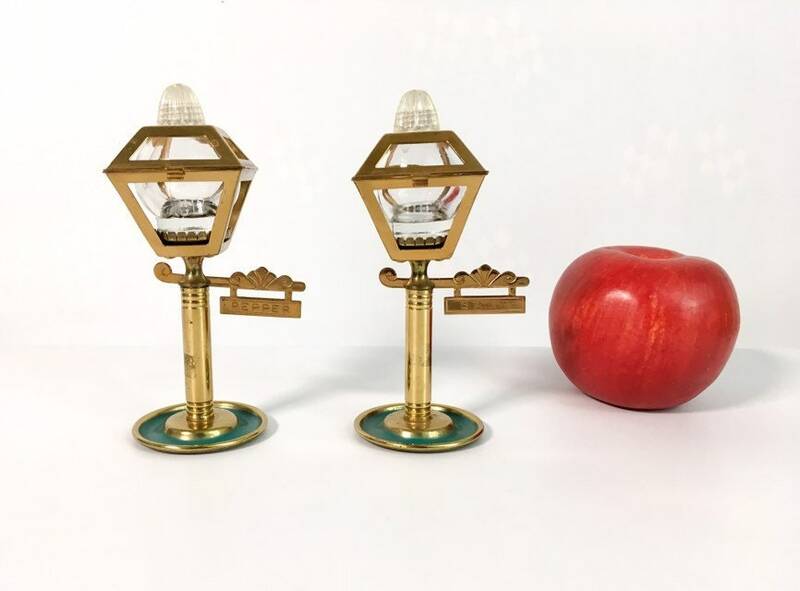 The glass in the street light or lamp post is the actual round holder for the salt and pepper. The top has a hinge and opens up to be able to take the glass shakers in and out to refill and clean them. 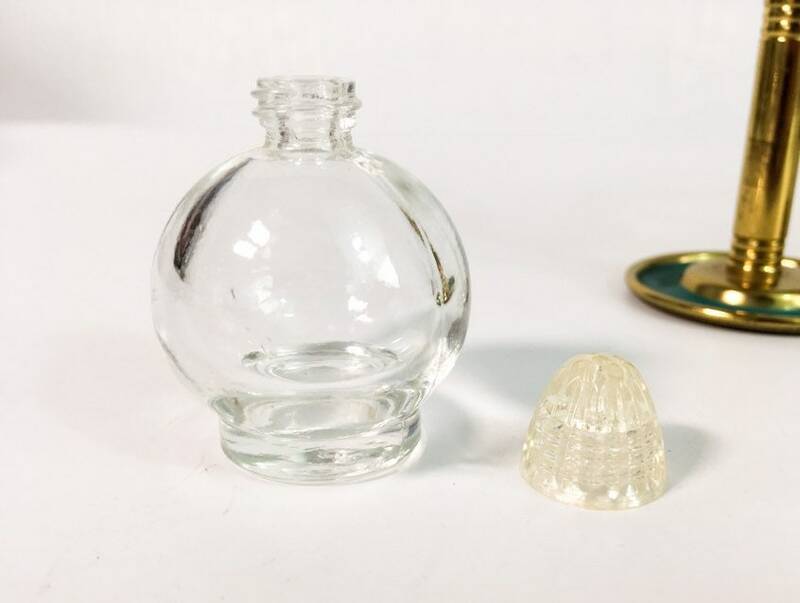 The tops of the glass shakers are plastic and are molded in a design that has ridges which help disguise the screwtops on the glass containers. NOTE: Irice items were made by the I.W. Rice & Company and were made in Japan. Most items by Irice were marked as an Irice Import as this company produced and imported a wide number of items from Japan into the US in the post WWII period. These shakers are in great condition for their age with little wear. No chips or cracks. Underneath the base, a small bit of rust where the bases are attached ot the post - only seen when turned over. Overall, both vintage pieces are in great condition. 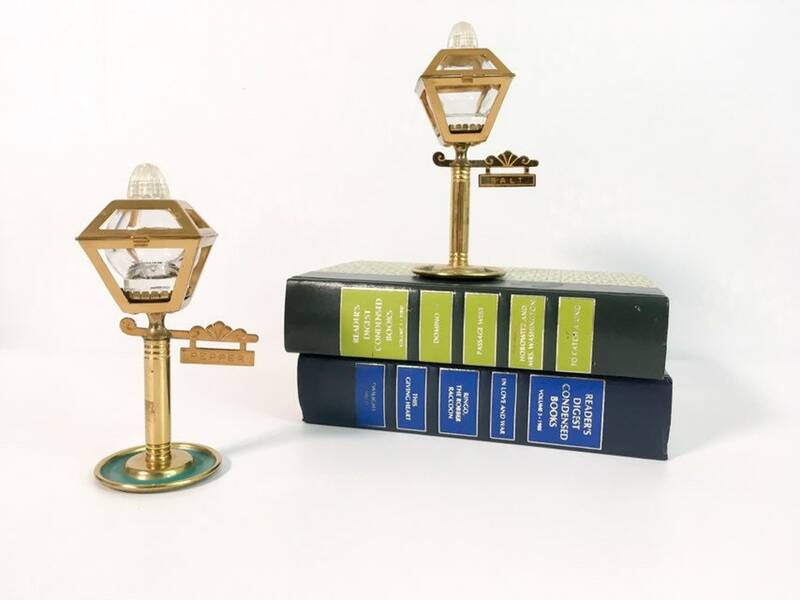 Size: They measure 5 1/4'' tall by 2 1/2'' wide (at the widest). 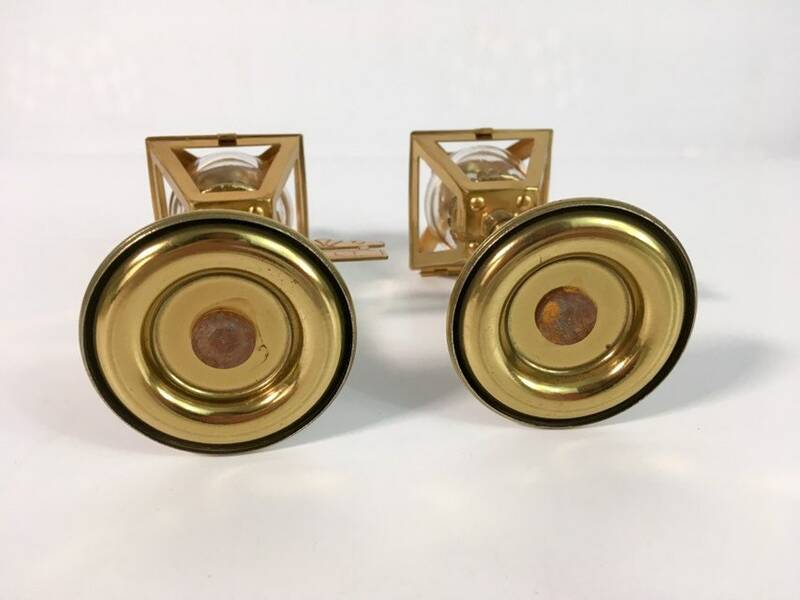 The round bases have a 2" diameter. Adorable set of vintage salt & pepper shakers in a very kitschy design. 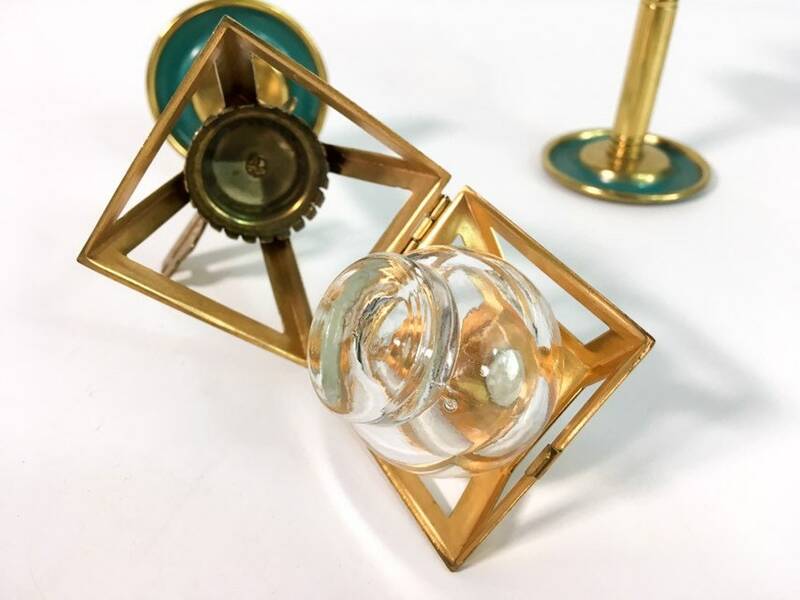 A great items for use or for display for a retro mid century themed kitchen.